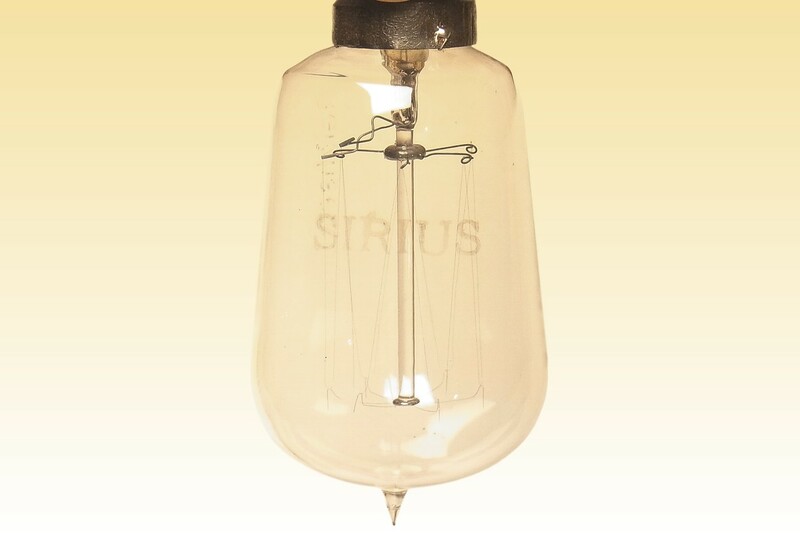 At the start of 1906 four groups announced their perfection of tungsten lamps. They were Just & Hanaman of Austria who licensed their patents to Tungsram of Hungary, Blau & Remani at Auergesellschaft of Berlin, Lederer who was director of the Auer-Osmiumlicht factory of Vienna and filed his patents anonymously in the name of Lux, and Kužel of Vienna, who licensed his patents to Kremenezky of Vienna and Pintsch of Berlin - the producer of this lamp. 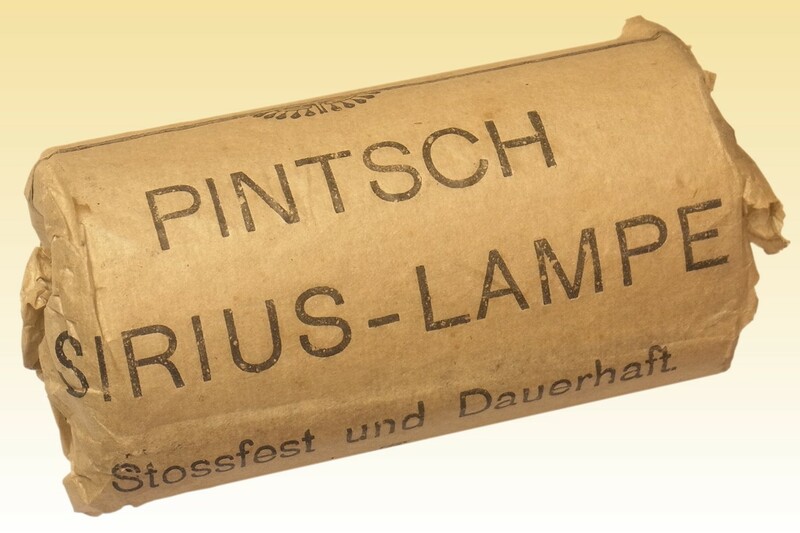 Pintsch lamps are branded Sirius, presumably after Kužel's residence, Villa Sirius. Although each of the four groups had its own patented process of prerparing sintered tungsten filaments, the Kužel process is the most different. The others mixed tungsten powder with various organic binders and squirted the paste through a diamond die to form threads, which could be shaped and sintered by differing techniques to remove the hydrocarbons and yield a fairly pure tungsten filament. Kužel meanwhile struck an arc between electrodes of tungsten under water, producing tungsten particles so fine that they formed a natural colloid in water - a kind of paste in which the tungsten particles remain in suspension by Brownian motion alone due to their small size, without need for any binder. After squirting and sintering it yielded much smoother and purer filaments due to the elimination of any binder material. 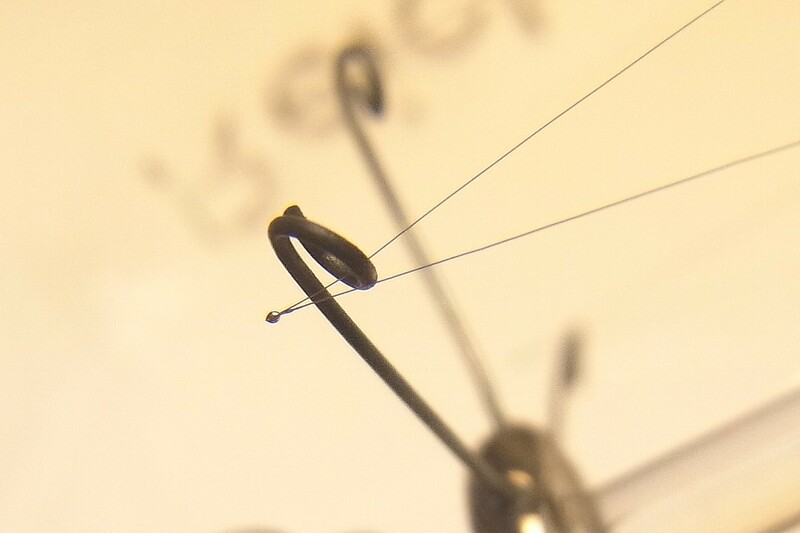 The method of mounting the filaments to the stem is also unusual. Rather than arc-welding each filament tail to its own support wire with competitors, the number of supports is halved by passing one tail of each filament through a small loop, and fusing to the unsupported tail of its neighbour by dipping in a solder of molten tungsten carbide. 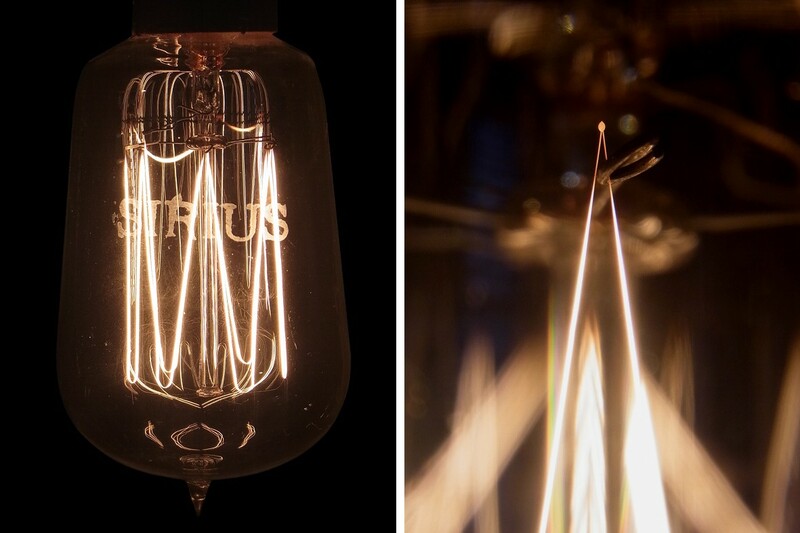 References: 1) Development of the Incandescent Electric Lamp, G.B.Barham, publ. 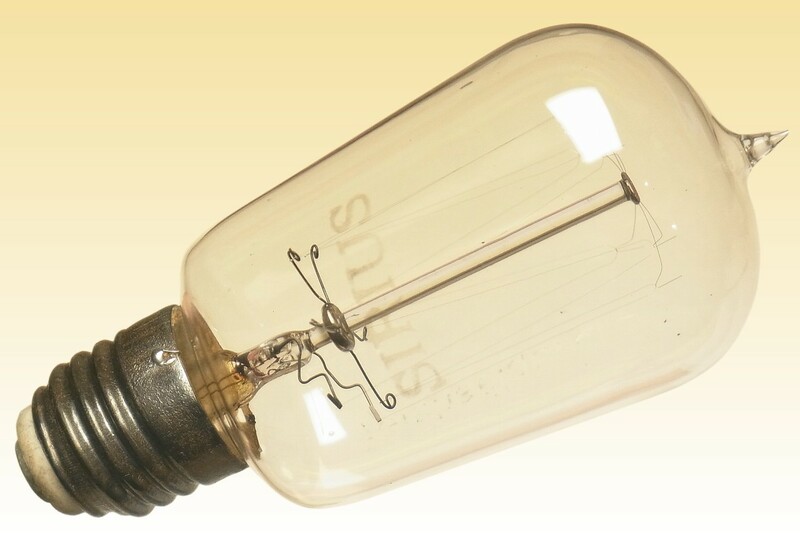 Scott, Greenwood & Son 1912, Chapter VIII Colloidal Tungsten Lamps pp.99-111. 2) Die Elektrische Metallfadenglühlampen, Heinrich Weber, publ. Max Jänecker Verlagsbuchhandlung 1914, pp.296-312. 3) An Illustrated History of Electric Lighting, Adam Allerhand, publ. Bez Budja Press 2016, pp.368, 376-379.